Prepare the steamed broccoli according to package instructions. Once it is steamed, roughly chop it into smaller pieces. 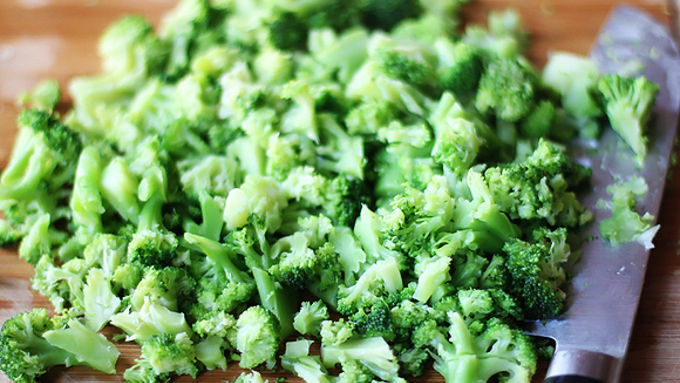 While the broccoli is steaming, heat oil over medium-high heat in a medium saucepan. 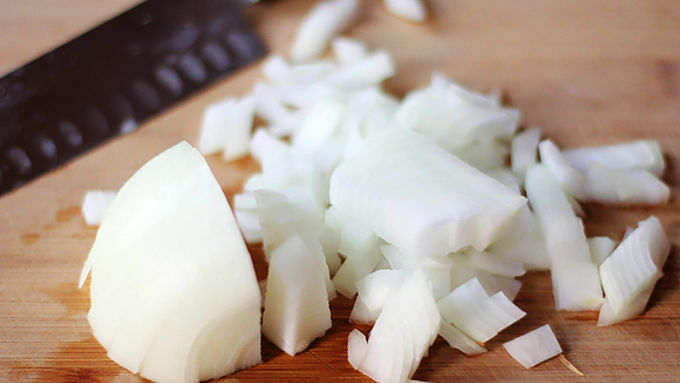 Add the onion and celery, and cook for 5 minutes, stirring occasionally. Add the garlic and cook for an additional minute. Sprinkle the flour over the vegetable mixture, and stir so that the vegetables are evenly coated. Cook for an additional minute. Whisk in the chicken stock, milk, Parmesan and thyme, and bring the soup to a simmer. Reduce heat to low, and season with salt and pepper using suggested amounts (or more or less to taste). Serve immediately, garnished with extra Parmesan. This fresh and delicious creamy soup can be ready to go in less than 15 minutes! 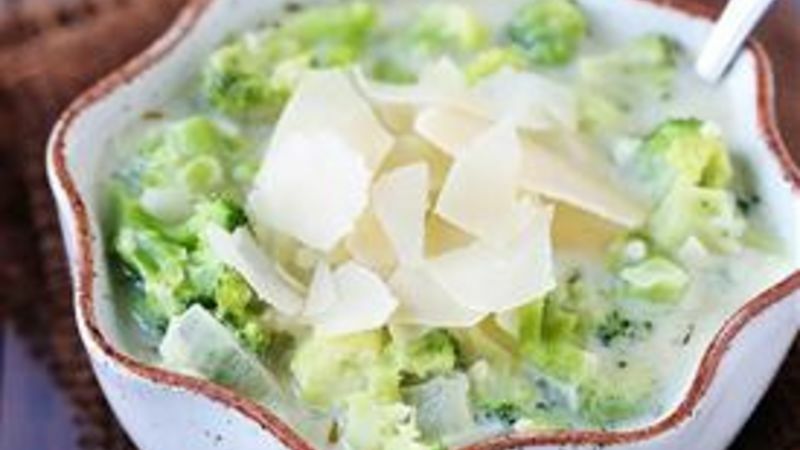 Today I went to work already excited about making this Creamy Broccoli Parmesan Soup for dinner. The autumn day was perfect for soup weather, I had all of the simple ingredients at home ready to go, and I was excited for a leisurely dinner before heading out to see some friends in the evening. But then, the “leisurely” part got nixed. Or so I expected. A project at work ended up taking an extra hour than expected, leaving just a teeny 45 minute window to buzz home for dinner before heading back out. But it turns out that this soup is TOTALLY a 15-minute meal! 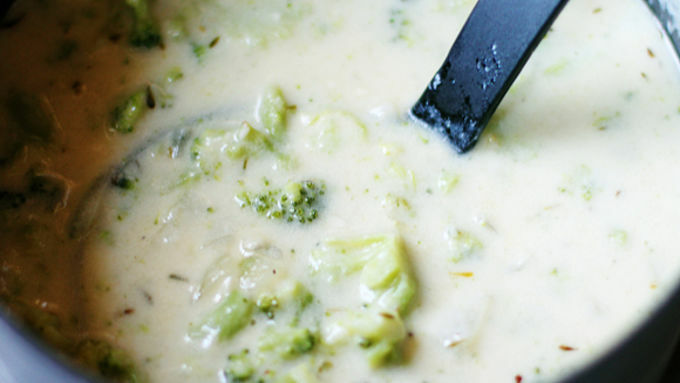 Normally broccoli soups have to simmer for at least 40 minutes in order to cook the broccoli. But thanks to my fav little Valley Fresh Steamers, I was able to “cook” the broccoli (sans oil!) in the microwave while I made the first few steps of the soup. And literally, this creamy, comforting deliciousness was on the table and ready to go within 15 minutes. And oh….is it GOOD. 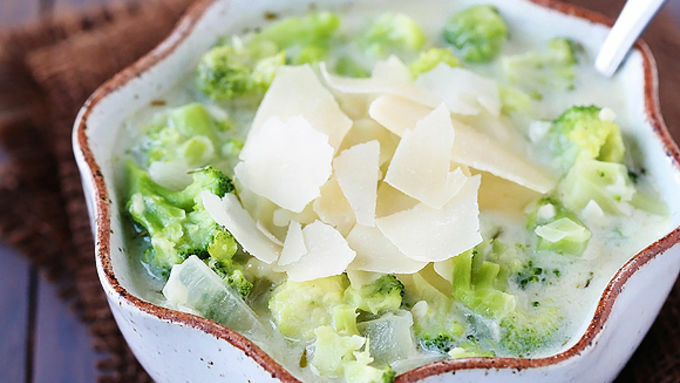 Normal broccoli “cheese” soup is made with cheddar. But I’m pretty sure I’ll now take Parmesan over that option any day. Absolutely loved the salty, Italian zest that it brought to the soup. And when made with milk and no cream, this actually turned out to be remarkably fresh and healthy too. So even on nights this winter when I’m not in a crazy hurry, I’m pretty sure this 15-minute-meal will become a new favorite. And this fresh, colorful, and healthy soup is ALL YOURS. Unless you want to share, which might make your friends and family happy campers. Enjoy!